Tonight, SFAC is unveiling their new project called StreetSmARTS, a program partnering urban artists with local business owners that have walls needing an artistic makeover. It is in the preliminary stages and SFAC is inviting local artists to an informational meeting tonight from 6:30 to 7:30pm at the Mission Cultural Center for Latino Arts (2868 Mission Street). 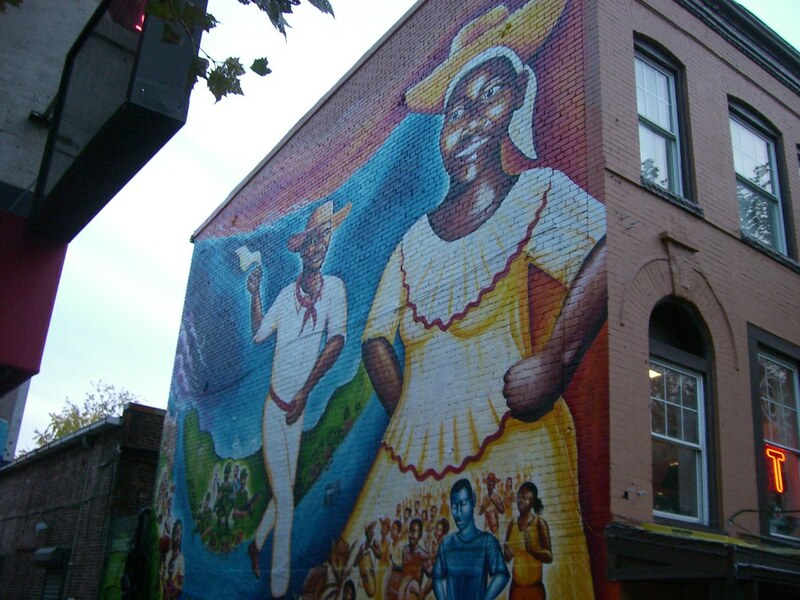 The word on the street is that they are going to PAY artists to do murals… no more freebies. Get your hustle on and visit www.SFAC.org for more information. You know, Washington DC Commission on the Arts and Humanities (DCCAH) launched a similar program back in 2008. 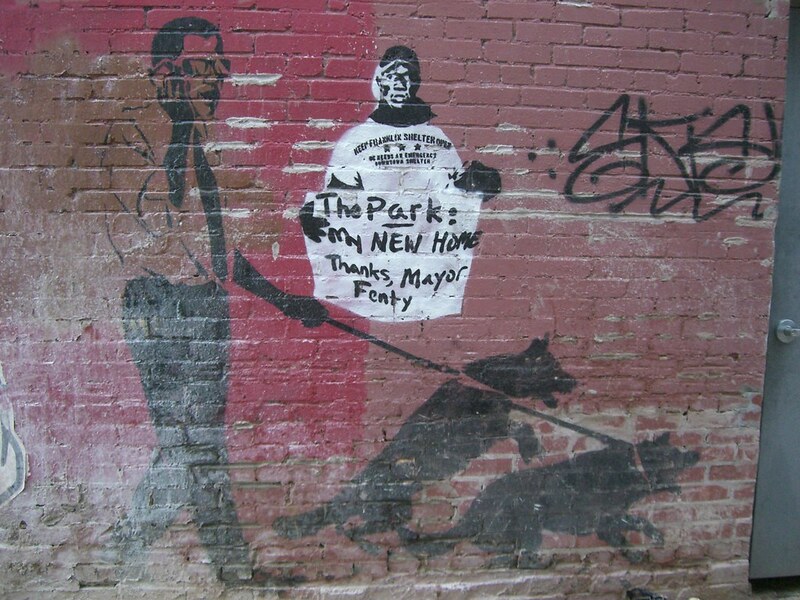 In 2007, they spent $800K on cleaning up illegal graffiti (vs. San Francisco’s DPW claim of spending $3.7million annually for graffiti removal and abatement) and in the following year, they responded by investing $100K to funding local graffiti artists to create murals on heavily tagged walls throughout the city. Now in its’ second year, the program has evolved to be a collaborative effort between well-known graffiti artists and the youth. They hope that this will dissuade the youth from engaging in illegal graffiti. 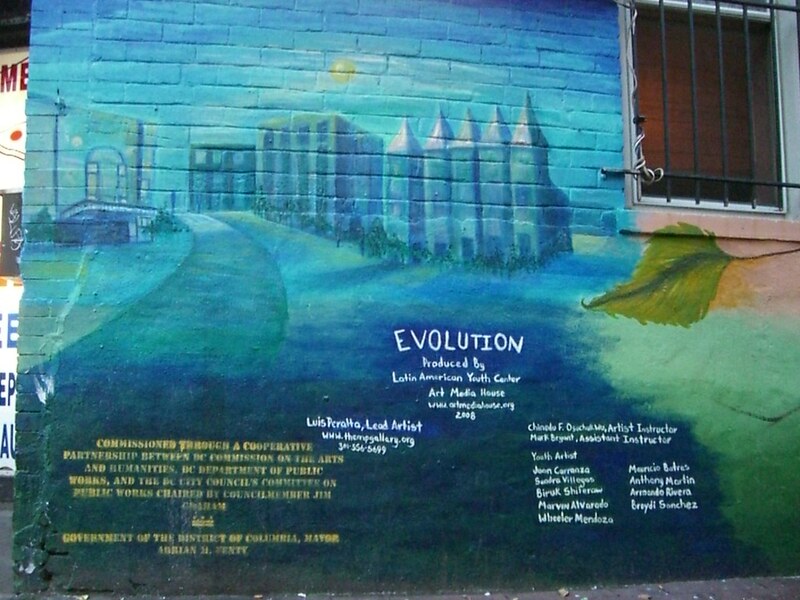 In an article from the Washington Post, Gloria Nauden, executive director of the DCCAH,comments “We decided that just painting over [graffiti] with one color was not the answer. You have to embrace them as artists, give them freedom. It’s about the respect and allowance of not being defined.” The numbers are in and they claim that there has been a decrease of almost 65% in the number of reported graffiti incidents in the DC area. When we were in DC in October, granted we were not in the suburbs of DC nor should we expect a piece on the side of the Monument or the White House, we were disappointed that there was not that much graffiti to admire. 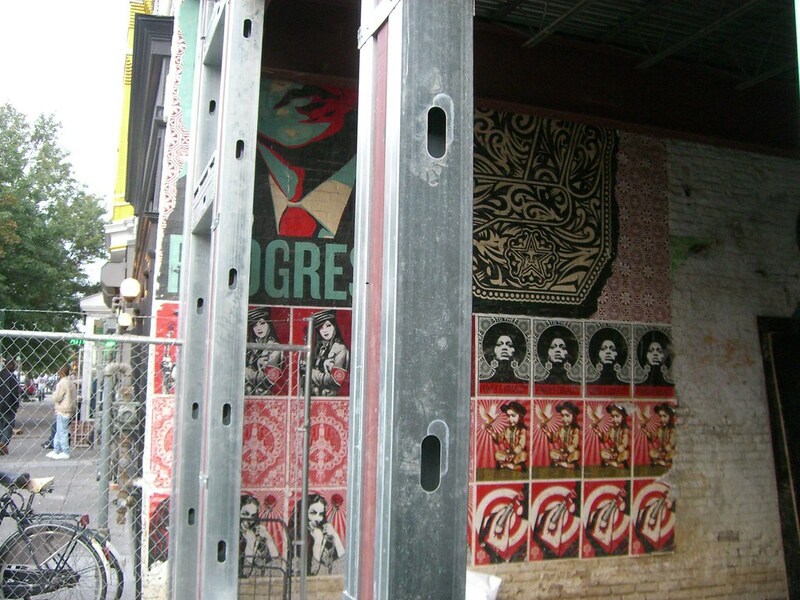 We did see some Shepard Fairey (with a couple of others) in a building under construction on U x 14th Street. Fast forward 4 months later, and our own SF Arts Commission is trying to launch a similar program. Will this deter other graff writers from hitting up walls? It has been working in DC… But looking at what has been happening to some of San Francisco’s public murals in the past year, it might not. We think it all depends on who SFAC partners with and how they execute this plan to action. We do commend SFAC for stepping forward and embracing graffiti rather than dismissing it as an art form. The art speaks to the masses and most importantly, the youth.